Justices BG Kolse-Patil and PB Sawant say they were the main organisers and sole funders of the event held a day before violence broke out at Bhima Koregaon. Who organised the Elgaar Parishad event in Pune on December 31, 2017, the day before caste violence occured at Bhima Koregaon nearby? According to the Pune police, the event was organised by members of the banned Communist Party of India (Maoist), with the aim of “spreading rebellious thoughts”, instigating violence at Bhima Koregaon and establishing a nationwide “anti-fascist front” to “wage war against the government”. Since January, when a Pune-based businessman filed a First Information Report blaming revolutionary speeches made at the Elgaar Parishad for the January 1 Bhima Koregaon violence, in which one person was killed, the Pune police has raided the homes of several human rights activists across the country. Ten of the activists have been arrested, including VV Rao, Gautam Navlakha, Sudha Bharadwaj, Arun Ferreira and Vernon Gonsalves, who were arrested on August 28. The police has accused all of them of being “active members” of the banned Communist Party of India(Maoist) and has even claimed that they were involved in a conspiracy to assassinate Prime Minister Narendra Modi. Justices Sawant and Kolse-Patil also believe there is a conspiracy – but one that is directed by the Narendra Modi-led Bharatiya Janata Party government that is attempting to silence its critics by arresting activists who have spoken out against the excesses of the state. Speaking to Scroll.in the day after the Pune police made sweeping allegations against the 10 arrested accused in court, Kolse-Patil and Sawant explained why they believe the Bhima Koregaon arrests are the government’s way of clamping down on all opposition. Justice Kolse-Patil had been a defence lawyer as well as a public prosecutor before he became a High Court judge. He retired at the age of 47, and for the past 28 years he has been campaigning for various people’s movements, particularly for the marginalised. Justice Sawant retired as a Supreme Court judge in 1995, after which he has been involved with social activism. He was among three retired judges who independently investigated the 2002 Gujarat riots, and their report severely criticised Narendra Modi, then the Gujarat chief minister. Since then, said Kolse-Patil, he and Sawant have been working consistently against Hindutva forces in India. “This is the background behind why this government does not like what we do,” said Kolse-Patil. 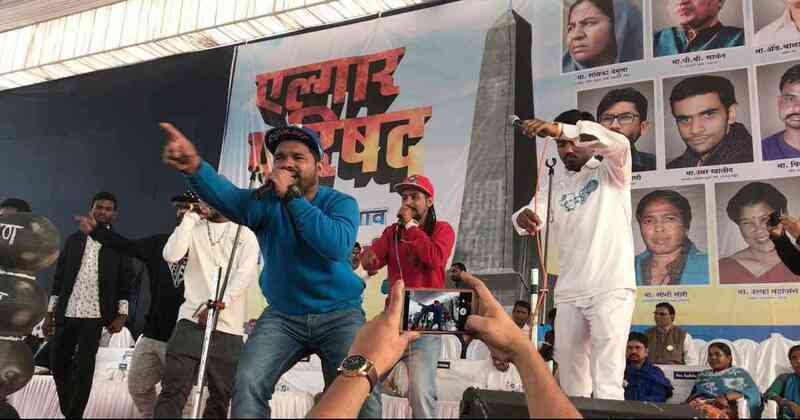 A Marathi hip-hop group at the Elgaar Parishad in Pune on December 31, 2017. (Photo credit: Shone Satheesh). The Elgaar Parishad, he said, was not the first time that the two of them had organised an event against communalism and Hindutva. “We had organised a similar event in October 2015, at the same venue of Shaniwar Wada in Pune,” said Kolse-Patil. The programme was called RSS-mukt Bharat, or RSS-free India, a reference to the Rashtriya Swayamsevak Sangh, which is the parent body of the Bharatiya Janata Party. With violence by Hindutva groups on the rise – particularly by cow vigilantes – the retired judges felt the need to organise another large-scale event to promote their message. They chose the name Elgaar Parishad. Sawant and Kolse-Patil strategically selected December 31 as the day for the Parishad, because lakhs of Dalit citizens from across the country were set to gather at Bhima Koregaon near Pune the next day, to commemorate the 200th anniversary of an 1818 battle in which a British army with a continent of Mahars defeated the much stronger forces of the Peshwas, a regime noted for their casteist policies. “Since people of a similar ideology were going to attend Bhima Koregaon, we approached Kabir Kala Manch [cultural organisation], [writer] Sudhir Dhawale and a few other organisations to mobilise people to come for Elgaar Parishad,” said Kolse-Patil. Eventually, a coalition of 260 organisations worked to put the event together. In addition to Kolse-Patil and Sudhir Dhawale, the Elgaar Parishad featured speeches by politicians Prakash Ambedkar and Jignesh Mevani, and Dalit rights activist Radhika Vemula. Jignesh Mewani, Vinay Ratan Singh, Radhika Vemula, Soni Sori and Omar Khalid during the Elgar Parishad in Pune in December 31, 2017. (Photo credit: HT Photo). 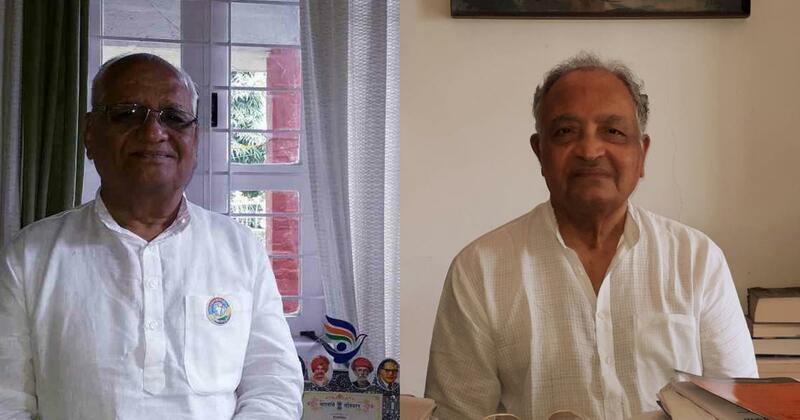 The retired judges believe that by linking the Elgar Parishad to a Maoist conspiracy and blaming it for the Bhima Koregaon violence, the BJP-led government is trying to silence voices that are critical of Hindutva. Concurring with writer-activist Arundhati Roy, who described the spate of arrests as being “as close to a declaration of Emergency as we will ever get”, Sawant called the arrests a “backdoor Emergency”. 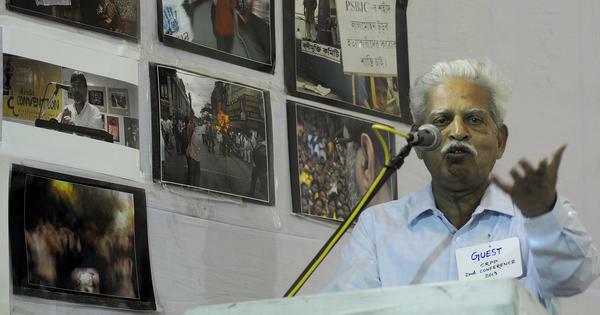 As an example, Kolse-Patil pointed to the way in which the arrest of the human rights activists had served to divert public attention from the cases filed against Hindutva leaders Milind Ekbote and Sambhaji Bhide, who have been accused of triggering the Bhima Koregaon violence through inflammatory speeches allegedly made in December 2017. Despite a Supreme Court order demanding their arrest, neither has been detained. “Ekbote and Bhide have been spreading poison for years, but the government wants to divert attention towards Maoism,” said Kolse-Patil. As organisers of the Elgaar Parishad, Kolse-Patil and Sawant say they are mentally prepared for being raided or arrested by the police. But Sawant claims there is a reason why this has not happened so far. “They have not gone after us because they know it will not sustain their current charge that this event was organised by Maoists,” he said. For Sawant, one of the biggest ironies in the Pune police’s allegations that the arrested activists were conspiring to form an “anti-fascist front” to destabilise the government and overthrow the sovereignty of India. “This shows that they actually want fascist forces to reign in the country,” he said.